Astral Light, Mornington Peninsula, Victoria. Nikon D800E, 14-24mm lens @ 14mm, 48s @ f/2.8, ISO 3200, tripod, by Mark Gray. Technology expert Mark Gray turned to shooting landscapes with a film camera after a life-changing event. He outlines his six key tips for improving your images. Panoramic landscape photographer Mark Gray had no interest in the craft which became his career before he suffered a life-changing assault outside a hotel late one evening, over 10 years ago. But after major surgery to relieve pressure on his cracked skull, Gray, who had led a busy lifestyle as a DJ in the Melbourne music scene, changed his focus completely. He sought out a quieter, more contemplative lifestyle around nature. Then, on a trip with his new girlfriend (and now wife) along Victoria’s west coast, he became captivated by the idea of shooting images of the majestic landscapes he discovered. It was the start of a long journey with a steep learning curve, and he’s now visited almost every corner of the country with his panoramic kit in hand, producing high-quality wall-sized prints which he sells from his gallery on Victoria’s Mornington Peninsula. Although he was highly experienced as a web manager and was familiar with digital technology, he actually taught himself photography, learning by trial and error. He simply bought a digital camera (one of a number since then) and started shooting. He read extensively and practiced a lot, and soon came to the conclusion he wanted to shoot panoramic images. He also decided he wanted to shoot with a film camera. Ultimately he secured a Fuji G 617 with a fixed 105mm lens (equivalent to a 24mm lens in 35mm format). After a couple of years he sold his G 617 and upgraded to a Fuji GX 617. This version of the panoramic camera had interchangeable lenses, and Gray obtained a 90mm lens (20mm equivalent in 35mm format). This really wide-angle lens allowed him to capture scenes the way he wanted to. Unfortunately the kit was wrecked when he was shooting from a rock ledge in NSW and he was hit by a wave which sprayed over it. A last-minute turn away saved his digital kit, but the bigger and bulkier panoramic camera was swamped by salt spray. The camera was ruined, but because it was insured he decided to go “all the way” and he bought a famed Linhof panoramic film camera which Ken Duncan had used for so long. With a 72mm lens (the 35mm equivalent of a 15mm) he was now able to shoot really wide. “It was a great camera,” says Gray, “And I’d achieved a long-term goal.” Earlier this year he also bought a Nikon D800E SLR (“Some locations don’t work in pano,” he says) and he notes there are some benefits to shooting digitally in low-light situations. He likes the ability to set a high ISO rating, and he can shoot RAW files and edit in RAW. Shooting film is a slower process, with no possibility of editing. Gray has set up a lightbox in his gallery so customers can view transparencies as they were shot. He says the scanning process can sometimes produce ‘flatter’ images, so he does some minimal tweaking with levels and saturation. Slide film can also exhibit a more limited dynamic range, and he sometimes also has to recover shadows and highlights. He may occasionally adjust his transparency scans for dust marks or scratches. 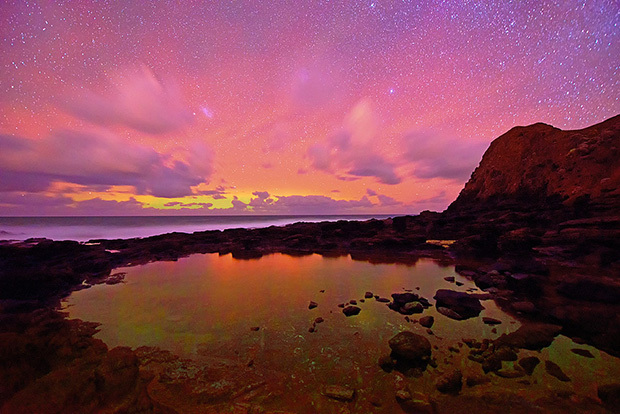 Astral Light was taken on the Mornington Peninsula Gray's digital SLR, the Nikon D800 SLR. He is impressed with its low light capabilities. Here are Mark Gray’s six most important tips for shooting landscapes. You can’t take a picture without it! The quality of the light has to match the scene you’re photographing. Landscape photographers learn to value the so-called ‘magic hour’, which runs from about 30 minutes before, to 30 minutes after, the sun rises or sets. Always look behind every possibility at each location – that way you’ll know all your options and you can work quickly to set up, especially if you have to return at another time. Keep going back to a spot until the light and atmospherics are exactly right for the picture you want. A tripod is vital for stabilising a camera when shooting landscape images. Don’t leave home without it! And if you don’t have one and you are shooting with a slower shutter speed, improvise by using rocks, platforms, sandbags, seats, or whatever is available. Maximum depth of field is great for expansive landscape images. Always aim to have everything in focus as it will draw the viewer’s eye through the image, from the foreground to the background. It’s crucial to make your composition as strong as possible. Placement of the camera is very important – moving it just a couple of centimetres one way or another can really matter. Move around before you shoot, and always consider the height of your camera; angles both higher and lower than eye-level can work really well. Gray has a specifically built PC (an Intel Core i7-3770 @ 3.40GHz) with 32Gb of RAM, two 2 terabyte hard drives, with two 1.5 terabyte external hard drives as backups, and an NEC Colour-Critical TA series 27in monitor for his post-production work. When travelling overseas he works with a Venom Blackbook 15 laptop with 8Gb of RAM, which has a large colour gamut and a 1 terabyte hard drive. He uses Adobe Photoshop Creative Cloud and NIK Suite software. 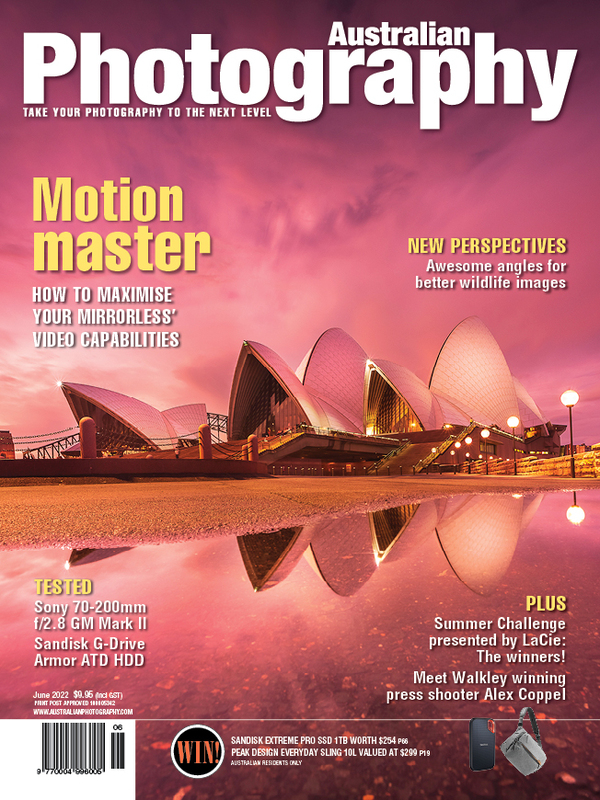 See the full profile on Mark Gray and his dramatic landscape images in the October 2013 issue of Australian + Digital. 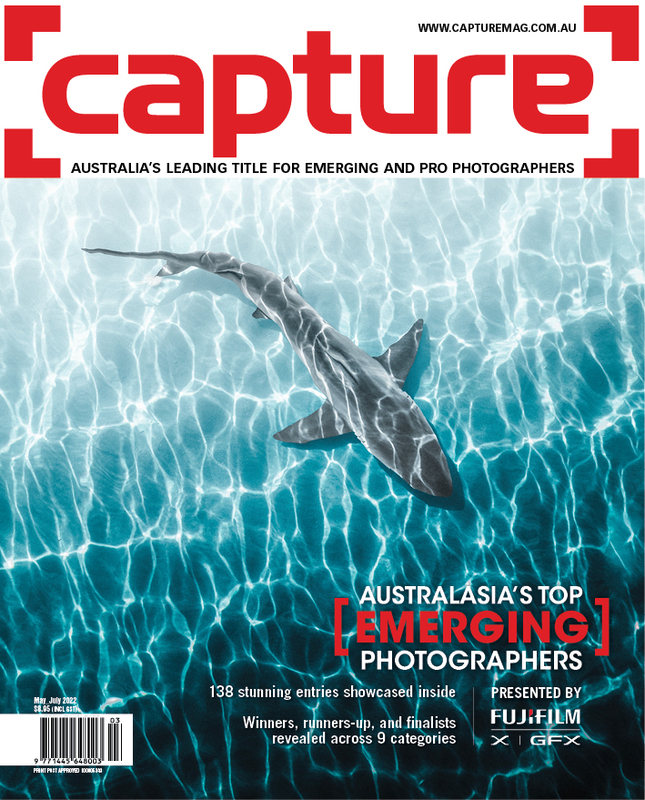 Look for it in newsagents, on iPad or subscribe here. Craig's Hut. Linhof Technorama 617 S111 panoramic camera, 72mm lens, Velvia ISO 50 slide film, 4s @ f/22, tripod. Dragon's Head, on the Mornington Peninsula. Nikon D800E, 14-24mm lens @ 18mm, 0.6s @ f/11, ISO 100, tripod, polariser. Pathway to Heaven, Canning River, Perth. Linhof Technorama 617 S111 panoramic camera, 72mm lens, Velvia ISO 50 slide film, 27s @ f/22, tripod. 0.6 grey soft grad ND filter. Under the Clocks, Flinders Street, Melbourne. Nikon D800E, 14-24mm lens @ 18mm, 13s @ f/11, ISO 100, tripod, ND 32 filter.